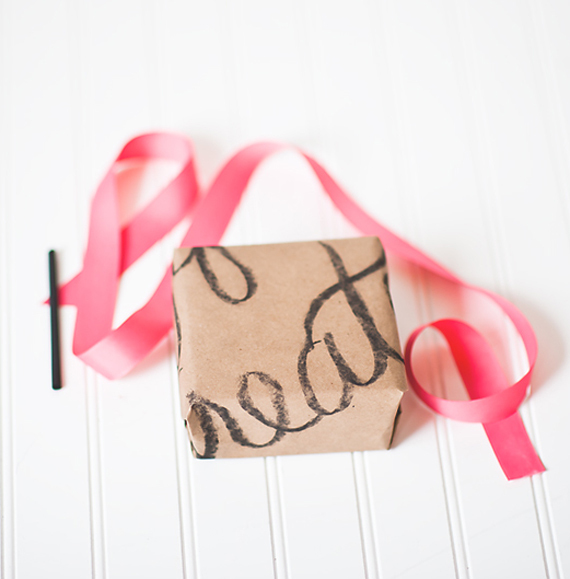 Inside: Fun ways to wrap presents in love letter font wrapping paper. 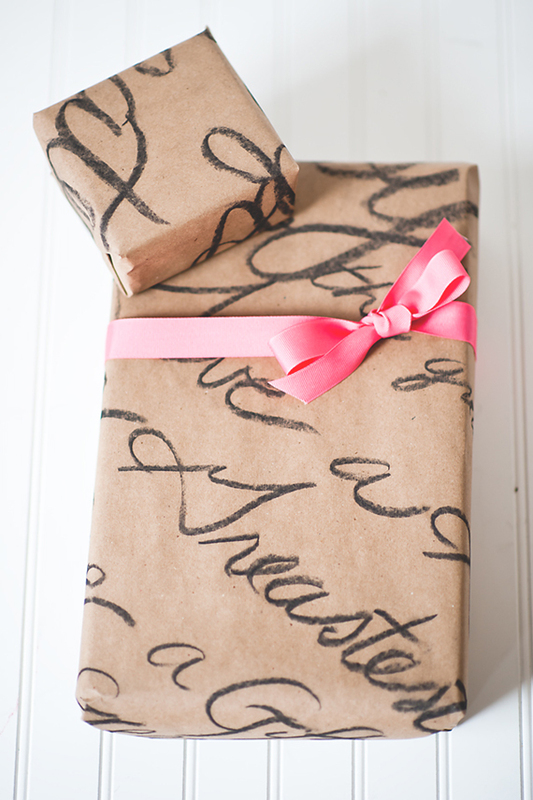 Making your own hand-lettered wrapping paper is a wonderful way to create pretty packages that are both easy and affordable. Write a love note to hand to your dearest for Valentine’s day, encouraging wishes for a couple getting hitched, or a congratulatory note for a loved one’s birthday party. The concept is especially nice when you direct it towards a specific individual, but you could also use it to address a specific celebration on favors and party goods. Nothing is better than a kind letter of love on top of a thoughtful gift. I love coming up with a fun way to wrap gifts. 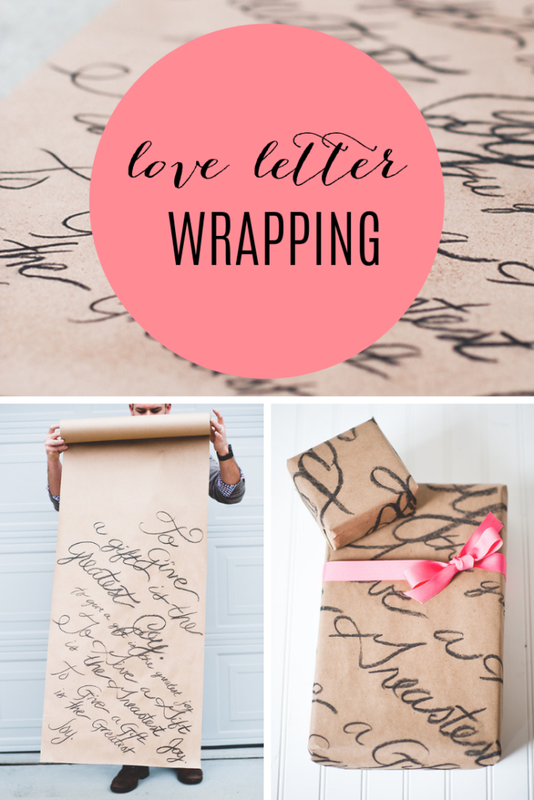 This love letter font wrapping is of course for someone I love. But here are a few other wrapping ideas for other celebrations in your life! Collaboration for this love letter font wrapping project was done with my friend Brody, who is an amazing hand font illustrator. We’ve been busy working on projects for parties and home – see more from the hand font series. Photography was done for A Subtle Revelry by Erin Holland. Such a great idea! 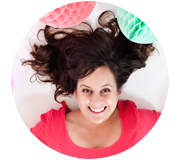 And a pretty cute assistant too…. Chloe, thanks… The model is not mine;) Just a very talented friend! So pretty! I absolutely love it! 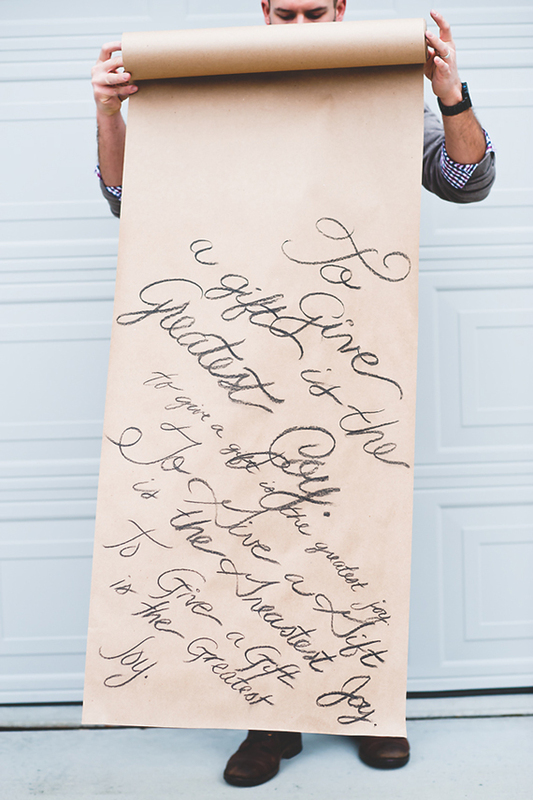 Would be kind of perfect to write a love letter and wrap a valentines day gift! I love that it is clearly homemade (one “greatest” found an extra “s”) but so beautiful! Great idea using hairspray as the fixative. Brett, we will just wink;) and say that was on purpose… Just so you’d know it was truly made by hand! Whee! 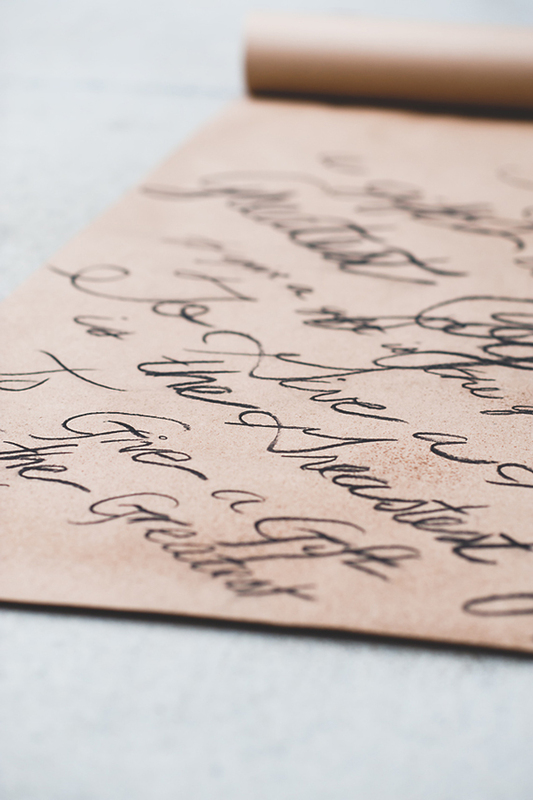 Three things I love – pretty packaging, kraft paper, and hand lettering. Thanks for the tutorial. I will be trying this. What’s a chalk pencil? Pastel? wow. that is the most beautiful handwriting i’ve ever seen…. i would die for a gift wrapped in this!